Soothing and Detoxifying. Helps relax tired and aching muscles. Excellent when used after Sports and Exercise. 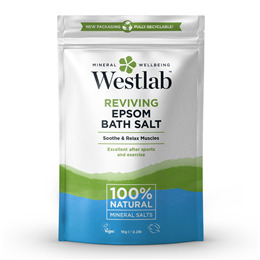 The salts are great for helping to remove toxins from the body, encouraging muscles to relax and assisting in recovery, as well as increasing magnesium levels. Magnesium aids muscle control, energy production and helps regulate the activity of more than 300 enzymes in the body. Bathing Instructions: Dissolve salts in a bath of 37-39°C. Relax and soak for 20 minutes. To relax tired and aching muscles use 500g-1Kg. For general skin health and wellbeing add 100g-250g to your normal bath. 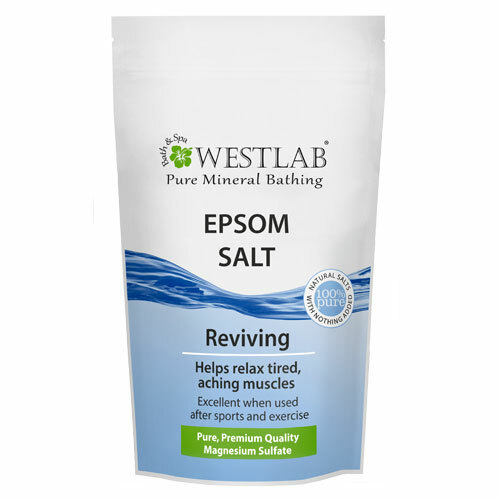 Below are reviews of Westlab Epsom Salt - Reviving - 1kg by bodykind customers. If you have tried this product we'd love to hear what you think so please leave a review. Soothing and Detoxifying. Helps relax tired and aching muscles. Excellent when used after Sports and Exercise. Westlab only source the highest quality Epsom Salt. Pure, Medical Grade Standard.